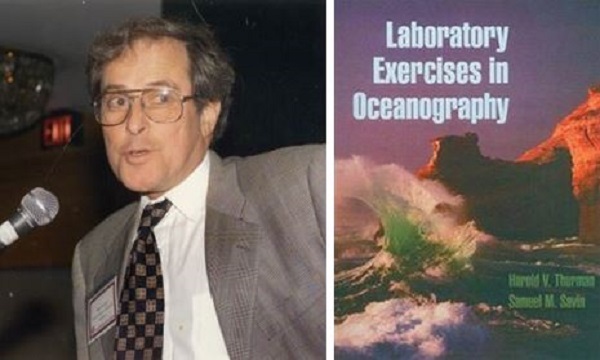 He co-authored the textbook “Laboratory Exercises in Oceanography” in 1995. SARASOTA, FL, August 29, 2018 — Marquis Who's Who, the world's premier publisher of biographical profiles, is proud to present Samuel M. Savin, PhD, with the Albert Nelson Marquis Lifetime Achievement Award. An accomplished listee, Dr. Savin celebrates many years' experience in his professional network, and has been noted for achievements, leadership qualities, and the credentials and successes he has accrued in his field. As in all Marquis Who's Who biographical volumes, individuals profiled are selected on the basis of current reference value. Factors such as position, noteworthy accomplishments, visibility, and prominence in a field are all taken into account during the selection process. Dr. Savin spent most of his professional career at Case Western Reserve University where he now holds the titles of Jesse Earle Hyde Professor of Geological Sciences Emeritus and Dean of the College of Arts and Sciences Emeritus. In 2006 he joined New College of Florida as Provost, becoming Provost Emeritus in 2009. Dr. Savin came to Case Western Reserve as Assistant Professor of Geology in 1967. He was chairman of the department from 1977 to 1982, associate dean of the college of arts and sciences from 1993 to 2000, and dean of the college of arts and sciences from 2000 to 2003, prior to his retirement from Case Western Reserve in 2006. He authored or co-authored more than 90 refereed publications in various scientific journals and monographs. He co-authored the textbook “Laboratory Exercises in Oceanography” in 1995. He served as associate editor of Geochimica et Cosmochimica Acta from 1976 to 1982, Marine Micropaleontology from 1979 to 1987, Paleogeography Paleoclimatology Paleoecology between 1987 and 1995. Savin Nunatak on Palmer Peninsula, Antarctica was named in recognition of his work in 1965/6 near Byrd Station with Clair Patterson on the transport of anthropogenic particulate lead in the global atmospheric circulation. Dr. Savin is a former member of advisory panels in Earth Sciences of the National Science Foundation and the Department of Energy, and of CONICYT (Chile). He served on accrediting teams of The New England Association of Schools and Colleges, The North Central Association of Schools and Colleges, and the Southern Association of Schools and Colleges. Involved in his local community, he served as a director of the Cleveland Hearing and Speech Center (1995-2000) and the Cleveland Council on World Affairs (1995-2006). Since relocating to South Florida he has served as vice chair of the board of Art Center Sarasota and vice president of the board of the Phi Beta Kappa Association of Sarasota-Manatee. Dr. Savin earned a Bachelor of Arts in Chemistry at Colgate University in 1961, and completed a Doctor of Philosophy in Geochemistry (minor in Geology) at California Institute of Technology in 1967. He has been elected fellow of the American Association for the Advancement of Science, the Geochemical Society and the European Association of Geochemistry, the Geological Society of America, and the Ohio Academy of Sciences. He was awarded the Brindley Lectureship by the Clay Minerals Society. He is a longtime member of the Geological Society of America, the Clay Minerals Society (former board member), the American Geophysical Union, the Northern Ohio Geological Society (former president), and the Geochemical Society (former councilor and current Treasurer). Dr. Savin has been cited in the 44th through 50th editions of Who's Who in America. In recognition of outstanding contributions to his profession and the Marquis Who's Who community, Samuel M. Savin, PhD, has been featured on the Albert Nelson Marquis Lifetime Achievement website. Please visit www.ltachievers.com for more information about this honor.